Among the many new developments Bezares is launching in 2015, there is the new Twin Output Heavy Duty PTO for ZF Ecosplit series gearboxes (with or without Intarder). 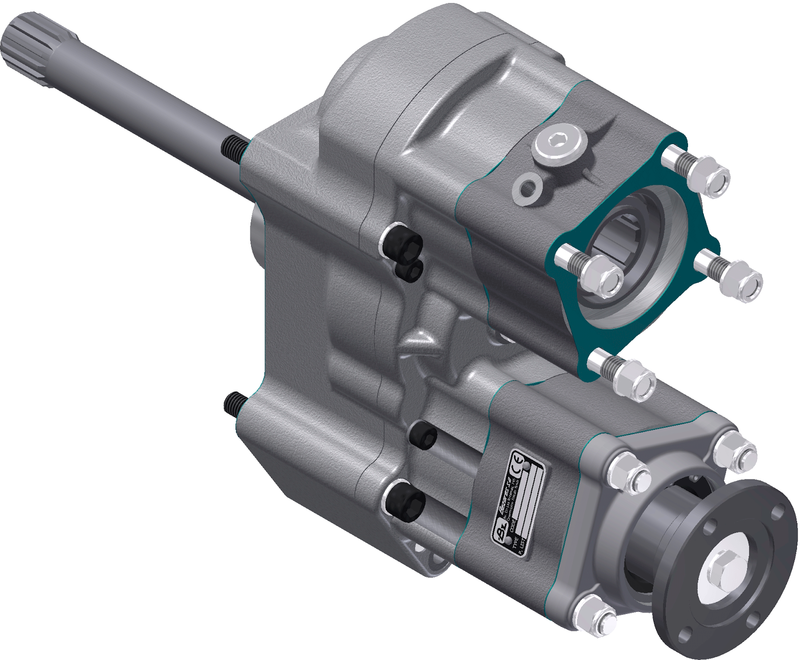 With reinforced body and two outputs that can be used independently, it offers more flexibility, easily adapting to the most diverse mobile applications and adding even more options to our already extensive line of PTOs for ZF gearboxes . This new unit provides an internal ratio of 1:1.6 and reaches a maximum continuous torque of 500Nm at each output, significantly higher than the previous versions. This product exceeded expectations at all the pre-production tests and is now available. For prices and more details, please contact with our sales department.